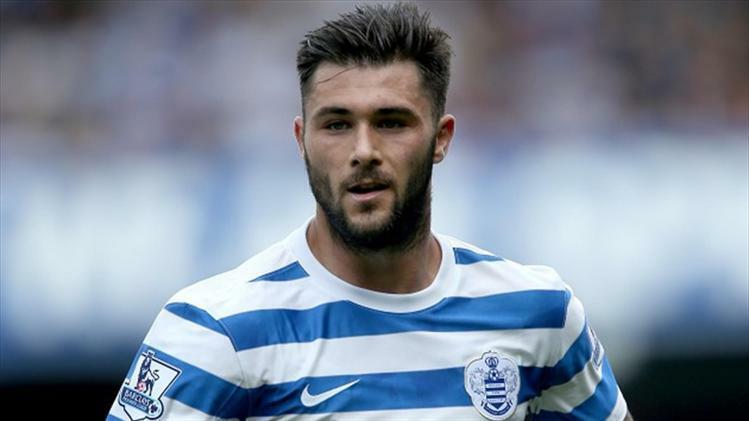 The lone ranger at Loftus Road, Charlie Austin is scoring goals for fun across the Old Blighty – in vain. For, in spite of all his exploits, his club is still teetering in the relegation mire. However, irrespective of their Premier League status come the end of the season, the Londoners will almost surely lose their star man. Even if there’s only a year left on his contract, a princely sum can be expected for him. What with the English media’s obsession with him and the general tendency of English clubs to overpay for homegrown talent. In Austin though, they are guaranteed to get a striker of the highest pedigree with all the requisite abilities. The big boys of England are all on red alert, with Liverpool leading the way to sign him. Not many would expect the little known Argentinean Franco Di Santo on this list. Werder Bremen have relied heavily on his prolific scoring to bail them out many a time this season. With more goals than the likes of Pierre-Emerick Aubameyang and Thomas Muller, Di Santo certainly has what it takes to cut it out with the best. With just one year left on his contract, Di Santo would be a cheap, shrewd buy for any good club. His red hot form has had a lot of admirers in Germany, with Schalke and Bayer Leverkusen scrambling for a summer move. 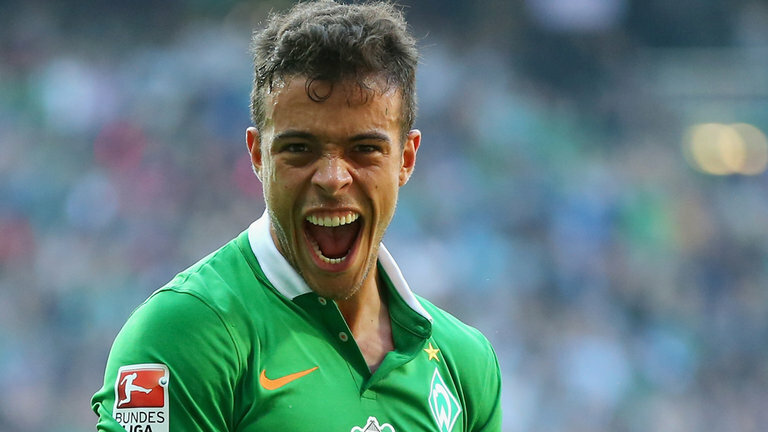 However, reports suggest Bremen is frantically trying to tie him down to a new contract. Expect a heated battle for him this summer. Arguably the most in-form striker in the entire list, Alexandre Lacazette is only behind Cristiano Ronaldo and Lionel Messi in the race for the European Golden Shoe. 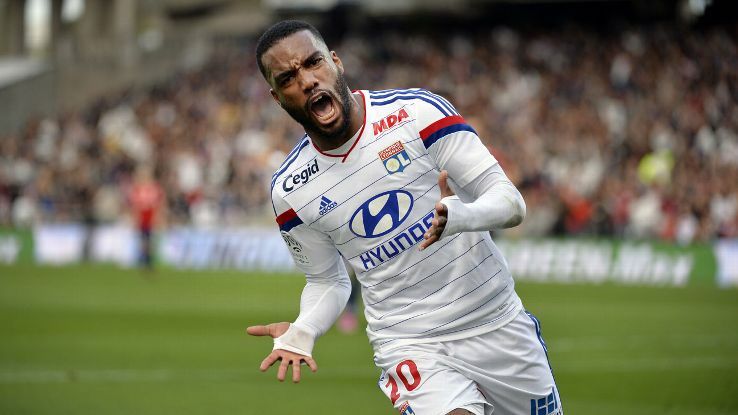 With 24 league goals to his name already, Lacazette has caught the attention of all the big boys of Europe, with Manchester United reportedly the most interested in getting his signature. With his contract tying him to Lyon until 2018, a sum north of £30 million is what is expected to lure the striker away from his childhood club. However, clubs like Manchester United, Arsenal and Juventus who are reportedly courting the player, have pockets deep enough to prise the young star away from his home. As for Lacazette himself, a potential move has its pros and cons – the former obviously being improved wages, better teammates and the chance to win more silverware, while the latter could see him being relegated to the bench if he does not deliver immediately. A hard task indeed, if he moves to a different league. The race for Lacazette is going to be long and hard. With Simone Zaza having an agreement with Juventus over a summer or January 2016 move, and with Mauro Icardi being the foundation upon which the Roberto Mancini revolution is built at Internazionale, Paulo Dybala is the most wanted striker in the country – a remarkable achievement for a 21-year-old. After Abel Hernandez’s move to Hull City in the summer, the onus was on the young Argentinean to take up on the goalscoring duties of his club. And he has done it in some fashion. The joie de vivre with which he carries himself around in front of goal has seen the fans of the Sicilian club compare him to a certain Edinson Cavani, who once belonged to them. However, just the way they lost El Matador, it seems as if young Dybala is also steaming towards the exit door. With just one more year left on his contract, Dybala would be a shrewd buy for any club with an eye on the future. One such club is Arsenal, who look to be in the driving seat to sign him. 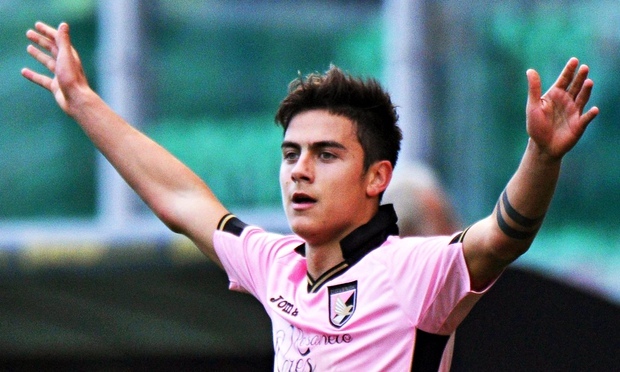 The move would spell disaster for Dybala, however, unless he doesn’t get overawed and delivers on his potential. A move looks certainly on the cards. Whether it is to North London or not, is for us to wait and see. At 28 years of age, Carlos Bacca probably has one, final big move in him before reaching the dreaded thirties. Fortunately for him, he has picked up speed at the right time and is behind only the big two boys of Spain in the race for the Pichichi. Voted by Marca as the best signing of the 2013/14 La Liga season, Bacca has a contract at Sevilla that runs until 2018, with a buy-out clause of €30 million. It is this figure, along with his age, that seems to be standing in the way of Bacca and a big move. But, on the form that he’s in, it would be foolish on the part of the big boys to not keep tabs on him – a crime that they aren’t guilty of committing. With yet another English club, Tottenham Hotspur showing huge interest in him, it is up to the Colombian to call the shots. Expect any move to stall though, as he has a shot at the Champions League spot with his current club, and if they qualify, it doesn’t seem as if their main man would move. Just like football is a match of two halves, so is a domestic season – just ask the 25-year-old Dutchman Bas Dost. Starting the season as the club’s third striker, Bas Dost was thrust into the limelight against Bayern Munich with Nicklas Bendtner being unavailable and Ivica Olic having been sold. A week later, he was Europe’s most lethal striker, after having scored a brace against the Bavarians before netting 4 times against Bayer Leverkusen. 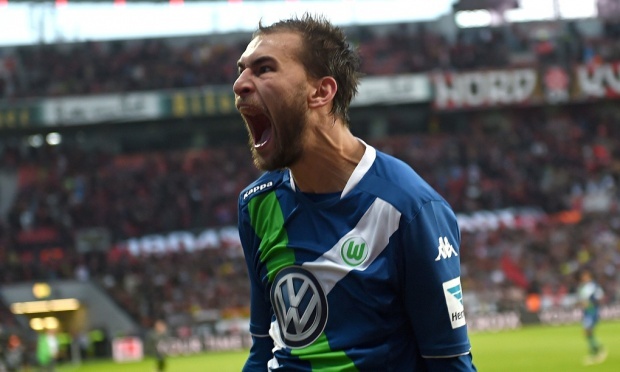 This sparked an incredible run of form which has seen Dost score 11 goals in his last six Bundesliga starts. Though the club is trying to hurriedly tie him down to a new contract, the striker, who recently made his debut for the Oranje, will definitely have a host of suitors come summer. While the striker admitted that he’d like to stay at Wolfsburg, it is difficult to envisage a long career for him at the Volkswagen Arena, should he prove to be more than just a flash in the pan. Probably the most popular man in England right now, Harry Kane is being touted as the next big thing in English football, although one can’t help but remain skeptical because it is the Three Lions we’re talking about. But fairp lay to the striker, he has set the Premier League on fire with an astounding goal return this season. The Premier League Player of the Month in January and February, the 21-year-old has done everything he can to stake his claim though; an incredible performance against Chelsea, a treble against Leicester, and countless other goals against countless other clubs, including fierce rivals, Arsenal. The Spurs board is doing its best to keep him at White Hart Lane, tying him to a massive five-and-a-half year contract two months ago. His meteoric rise culminated last week, with the club making him their captain in the game against Burnley. But the signs look ominous for the Spurs faithful in spite of their star’s huge contract. Real Madrid have started to show interest. And when Florentino Perez makes up his mind, no amount of paperwork can stop him. And Spurs fans know it better than anybody else.